Point Pleasant, NJ is most often thought of as a summer destination. And while the weather is often more conducive to swimming after the fourth of July, there is really no need to wait that long. Point Pleasant is still there in the spring and early summer and with smaller crowds it ends up being just that much more…well, pleasant. Located in Ocean County, Point Pleasant has long been a popular getaway for those living in Philadelphia and New York City. It is a family-friendly spot loved by and designed for kids of all ages. In recent years as families have been looking for more places to go that everyone can enjoy, Point Pleasant has become just that much more popular. What is the best way to get there? Well by motorcoach of course. Your charter motorcoach journey to Point Pleasant can drop you right off at the boardwalk so you can enjoy the crystal clean beach and all the amenities the boardwalk has to offer without the hassle of having to find a place to park or the expense and uncertainty of a local parking lot. There will be none of that for you because you planned ahead. But what to do once you arrive? That is the best part. 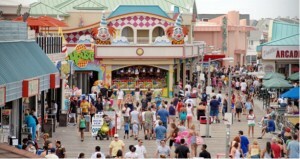 Start with Jenkinson’s Boardwalk, the centerpiece of the Jersey Shore. While there are boardwalks that have more popularity in New Jersey, none are as fun or as well maintained as Jenkinson’s. It is about one mile long and contains thrill rides, attractions, restaurants and arcades. If mini-golf is your idea of fun than look no further as there are three outstanding places to play; Rooftop Golf, Castaway Cove and my personal favorite, Lighthouse Point. Looking for a little adventure and maybe a scream or two? Then you must try the Dark Ride at the South Beach Arcade. The Dark Ride is a 7D interactive experience that makes a 3D movie seem as exciting as using a View-master. They have two movies to choose from; Zombies and the all-new Gigamon. Why not try both? If you’re looking for adventure of a different sort then you can check out the Point Pavilion Antique Center. The center is stuffed to the gills with antiques and collectibles. You may find more than you can take with you on the bus as you explore the two floors of treasures, but no worries there as you can always ship larger items to your home. Uncle Vinnie’s Comedy Club provides year-round entertainment guaranteed to make you smile. While this club may not always be family-friendly, they do cater to groups and offer group discounts for both dinner and show packages. The top comedians in the nation are always featured at Uncle Vinnie’s. Speaking of food, there are some wonderful places to dine in Point Pleasant. 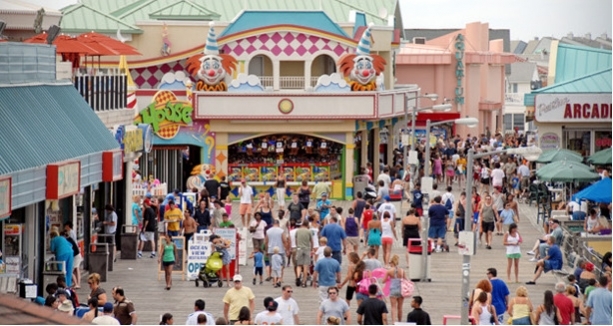 Naturally you can find all of the requisite boardwalk style food you could ask for including popcorn, cotton candy, sausage & peppers and ice cream. However if you want the best ice cream you want to make a stop at Hoffman’s. Hoffman’s serves up some 40 flavors of delicious ice cream and frozen yogurt and they offer tours as well to see how it is all done. They have all the traditional flavors, but get a little adventurous and try the Sea Salt Caramel Latte flavor. When it is time for dinner you want something really good and not another serving of fries from boardwalk. If Italian food is of your liking then visit Spano’s Ristorant Italiano. Owned and operated by Chef Joseph Spano for over 15 years, the restaurant features authentic Italian food in an authentic atmosphere. Traditional dishes, such as lasagna and chicken Parmesan are available and very popular. Named for Joseph’s mother, one of the house favorites at Spano’s is the Chicken Zia Carmela; mushrooms, eggplant and roasted red peppers sauteed in a garlic tomato sauce, served over breaded boneless breast of chicken, topped with mozzarella cheese and their award winning marinara sauce. You will not leave here hungry. So why not get the family and friends together, leave the car behind and charter a bus? You can make plenty of memories in Point Pleasant, NJ before the crowds arrive this summer. You may not want to swim in the ocean, but there’s absolutely nothing wrong with a nice walk on the beach. There are often times when group gets together and they want nothing more than to get away for a day. If you say “let’s take a charter bus” your family will probably give you a look as if you’d lost your mind. In reality they should look at you, thank you profusely and heartily agree with your wise decision. 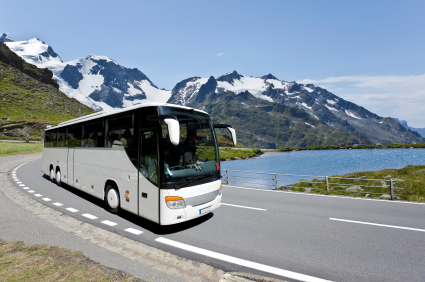 Taking a charter bus on your next day trip may be one of the wisest decisions you have ever made. First of all the charter bus industry is regulated by the US Department of Transportation. This means that your driver is a professional and must adhere to certain guidelines in order to keep his/her job. Statistically, taking the bus is safer than driving your own car. Many charter companies will allow guests to be picked up in different locations. The bus has to start somewhere, but can easily make arrangements for a quick stop along the way to pick up your sister, your uncle or that friend from college that always makes everyone laugh. With this benefit at your disposal you will definitely gain a few brownie points. What if you made that three hour drive yourself? How easy is it to find parking at a major league baseball stadium if you’re not one of the season ticket holders? It is usually not easy at all. You not only have to leave your car in a lot where you have no idea if it will be safe, but then you have to trek through the elements just to get to the gate. The bus will get you there and leave you just mere steps from the gate before leaving for that area reserved for bus parking. You’re in the stadium now. You can feel the excitement and you would like to have a few adult beverages. Go for it. You’re not driving home so any need to worry about having a couple of beverages has disappeared. But please do not overdo it; you should always drink responsibly. At the end of the day you’re tired. You just sat in a small, cramped stadium seat and the last think you want to do is get into your cramped little car. But you were smart and chartered a bus. Now all you need to do is walk out that gate and your charter bus is just waiting for you a few steps away. You hop on, sit down and recline in a comfortable chair and start talking about the game you just witnessed. No need to think about the traffic mess. You let the driver be concerned with the traffic. You never have to sit there with your foot on the brake wondering if someone will be nice enough to let you into the exit lane. Nope. Your driver has all of that covered so you can sit back and regale your friends with stories about how you would have made that diving play in the outfield. But the ride isn’t over. Many charters now are equipped with Wi-Fi. So you can get online and check out the box score of the game and see how your rivals did as well. Then you can take a few moments and find a great place to stop for dinner or a late night snack before saying goodbye for the day. With all of those benefits, plus the fact that taking a charter bus is economical and friendlier to the environment, why would you go any other way? 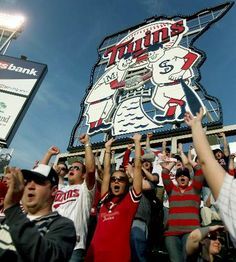 Get your friends together, charter that bus and go enjoy America’s pastime. Play ball! Whether you realize it or not, one of the greenest and most economical ways to see the USA is via a charter bus. And whether you want to travel near or far the motorcoach can take you there. 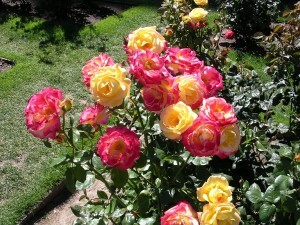 So with a wink and a smile it is time to literally stop and smell the roses in Portland Oregon. 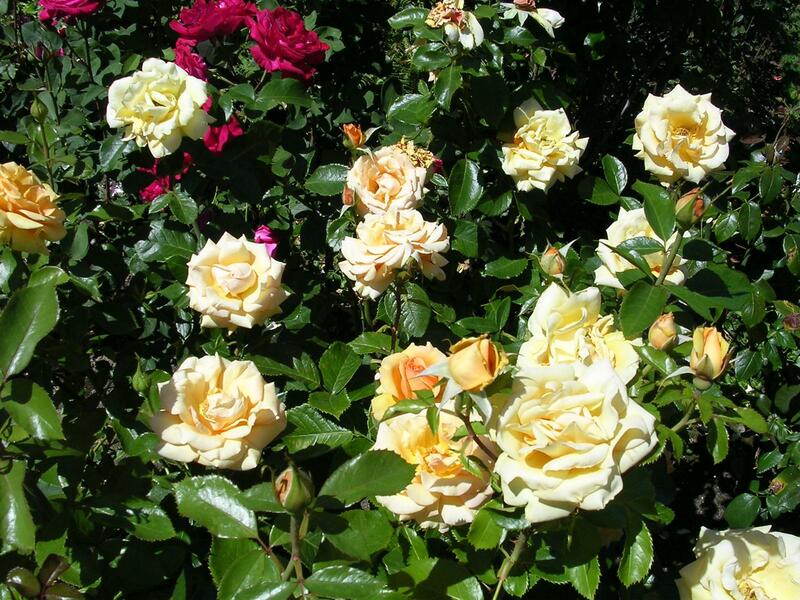 Portland is known as the “City of Roses” and it has been given this name for a very good reason; Portland is home to the International Rose Test Garden. The Rose Garden, located in Washington Park, is home to over 7000 rose plants of some 550 varieties. Your motorcoach can drop you off at the entrance so you can walk through the gardens on paved paths, enjoy the beauty of the flowers and get an outstanding view of the Portland skyline. There are fountains, statues, plenty of photo opportunities and the park has access ramps so no one is left out. Public tours are offered free of charge daily at 1:00 PM, but self-guided tours are always available. Groups of 11 or more can arrange for guided tours in advance. Each year Portland is home to the annual Rose Festival from late May to early June. The festival includes activities for all ages. There are several parades including the nighttime Starlight Parade and the centerpiece of the festival, the Grand Floral Parade. But the fun does not stop there; concerts, golf tournaments and a rose show are also great activities to enjoy. A dragon boat race takes place every year on the Willamette River where over 80 teams compete for the title of champion. However, what may be the most enjoyable activity of the festival is the Milk Carton Boat Race. Both children and adults enter their homemade human powered boats that float only by recycled milk cartons and milk jugs to vie for the coveted Best in Show Milk Can. And yes, sometimes they sink. Located right next to the Rose Garden is the beautiful and tranquil Portland Japanese Garden. It is a traditional Japanese Garden consisting of five sub-gardens spread over five and ½ acres. Be sure to put away your cell phones because they are not allowed in this land of peace and harmony. A stroll through these gardens will give everyone a deep connection with nature. If animals are more of your liking the Oregon Zoo is about two miles away from the Rose and Japanese Gardens and features over 260 species to admire and enjoy. And right next to the zoo is the Portland Children’s Museum; the sixth oldest children’s museum in the world. Although designed for children, the museum is a joy for families of all ages. One of the other benefits of visiting Portland is their unique light rail system known as MAX. Sometimes getting downtown in a large city is not always easy for a bus and that is where MAX comes in. MAX has four lines; Blue, Green, Red and Yellow, and all of them run through downtown Portland. So if you are up in the Washington Park area and want a bite to eat downtown you can easily hop aboard the Red or Green line and find yourself a great meal. And speaking of great meals there is no shortage of delicious places to dine in Portland. Have you ever wanted to try a bison or elk burger? Well then Deschutes Brewery is where you want to go. It is a great place for large groups and the food and atmosphere all have a distinctive Portland flair. Start your meal off with the Fried Pickled Cauliflower and then just try and decide what you should have for your main course. If you are a fan of beer you will most definitely find several here to your liking. If a little Italian food is what you are craving and you are not afraid of ghosts then Old Town Pizza is a fantastic place to din . Old Town Pizza sits in the original lobby of the old Merchant Hotel. You place your order at the hotel’s original reception desk. There is an old legend that tells us this place has been haunted for well over 100 years. Go for yourself, hear the story and enjoy the food. The pizza is all natural, local and handmade. The sauce is made from scratch daily and is indescribably delicious. If pizza is not your favorite then dive into a plate of spaghetti and meatballs, but whatever you do, do not leave without trying an order of garlic knots. So why not get your family or maybe those old friends you’ve been meaning to get together with and charter a bus to Portland. 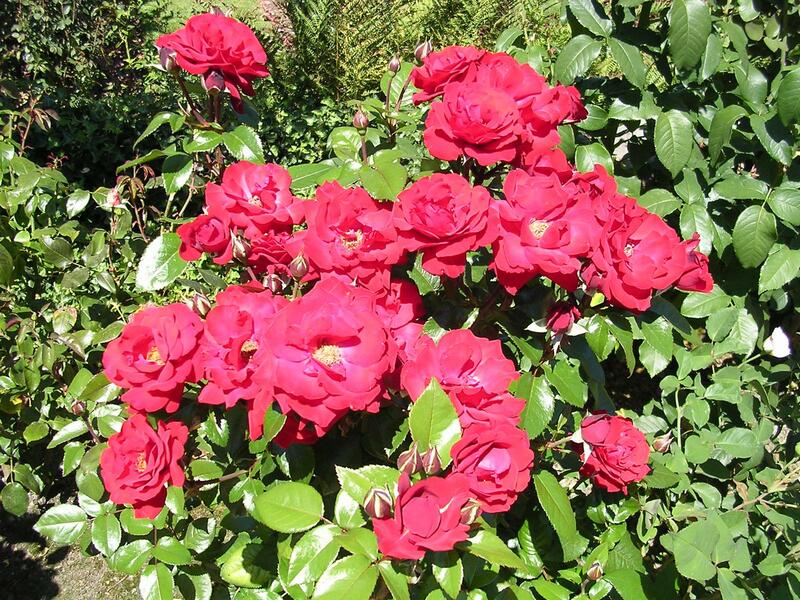 The roses are waiting for you. Sometimes the best part of traveling is not the destination, but the journey itself. I have often traveled with my family and found myself missing out on things. I cannot recall how many times I heard someone say “wow, look at that” or “that is absolutely beautiful” and there I am with my eyes glued to the road and missing all the beauty. However, it does not have to be that way. Traveling by charter bus is an excellent way to see America and all she has to offer. No matter where you are headed, there is beauty to be found. Let’s take a few minutes and look at some of the benefits of charter bus travel. As I mentioned the most obvious reason to go by bus is so that you can enjoy the journey. Whether it is the mountains, the plains, the wildlife or the stunning architecture of the big cities, you won’t have to miss a thing. Leaving the driving to someone else leaves you all the time to take in everything if you so choose. Just relax, sit back and enjoy the views. Don’t be in a hurry to get somewhere, but take the time to appreciate the odyssey. Naturally weather can be a factor as well. Leaving the driving to someone else who happens to be a professional bus driver can give one incredible peace of mind. You see that driving rainstorm coming up ahead? No need to worry because your driver has everything under control. He/she has been trained to handle all sorts of situations and you can leave your worries to him/her. Plus there is very little chance of getting lost as your driver has likely taken this same trip many times. It’s economical as well. Just add up what you would spend to rent a car and purchase fuel and you will see that going via charter bus will save you money. Once you stop somewhere for the night your lodging is often already included with what you paid for the tour so no worries in that department either. You’re not going to have to think about those no vacancy signs because your room is ready and waiting. In addition it is substantially more economical than airline travel. When you leave the driving to someone else you have more time for yourself. Maybe you finally want to start reading that novel you’ve had to put off for so long. Well, by taking the bus you have plenty of time. Maybe you have a movie on your tablet you have been dying to see or a series you just want to binge watch. You certainly can’t do that if you’re sitting in the driver’s seat. These days there are a lot of people that travel alone, not because they particularly want to do so, but rather by necessity. Once you’ve chosen your destination you can hop on that bus and suddenly you are not feeling like you are by yourself. What a great time to meet new people and make new friends. 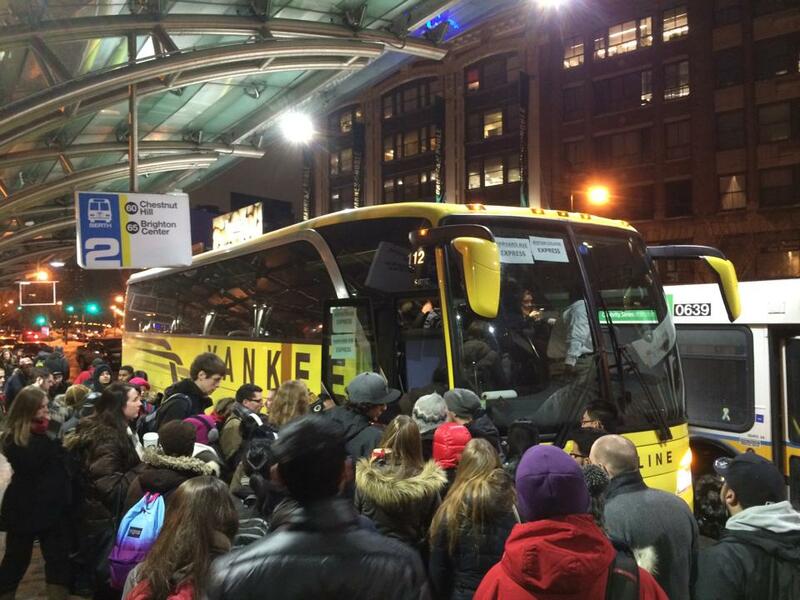 You’re obviously not going to be the only person on that bus and that is a good thing. Everyone has a story and just about everyone loves showing off photos of their family. You will have the opportunity to meet people you never would have met otherwise. I can say for myself that I have made lifelong friends from strangers sitting across the aisle. Maybe you’ll even want to travel together again one day. Since chartering a bus is less expensive than you probably realize, it is also a fantastic way to get your family together for a special occasion. Whether you are looking to have a family reunion or to celebrate mom & dad’s 50th wedding anniversary, you can all pitch in together and make chartering a bus your own private party. Pick a destination, pick a starting point and off you go. From a personal standpoint, I have to say that doing this was one of the best ideas we ever had. There is a very good possibility that your driver will become an honorary member of your family as well. So don’t fear the charter bus. Yes, like everything in this life, it has its pros and cons. But just think of the memories you will bring home after a long journey on the road with someone else doing all the work. I can’t think of a more relaxing way to travel. Charleston, SC – Something For Everyone In The Group! So your group is ready to get together for charter bus tour this spring, but where should you go? You don’t want anything too hot and you certainly don’t want anything too cold which leaves Charleston, SC as the perfect destination. Charleston is the oldest city in South Carolina and is certainly the most historic. The city’s residents pride themselves on their hospitality and welcome visitors with open arms. It is the kind of place where you will never meet a stranger. Quite simply, the best place to start any visit to Charleston is with a carriage ride in the historic district. There are several good companies to go with, but I have found the Old South Carriage Company to be the best. The drivers are courteous and incredibly knowledgeable and will tell you more about the city than you ever expected. All tour companies get busy, so an early start is recommended. 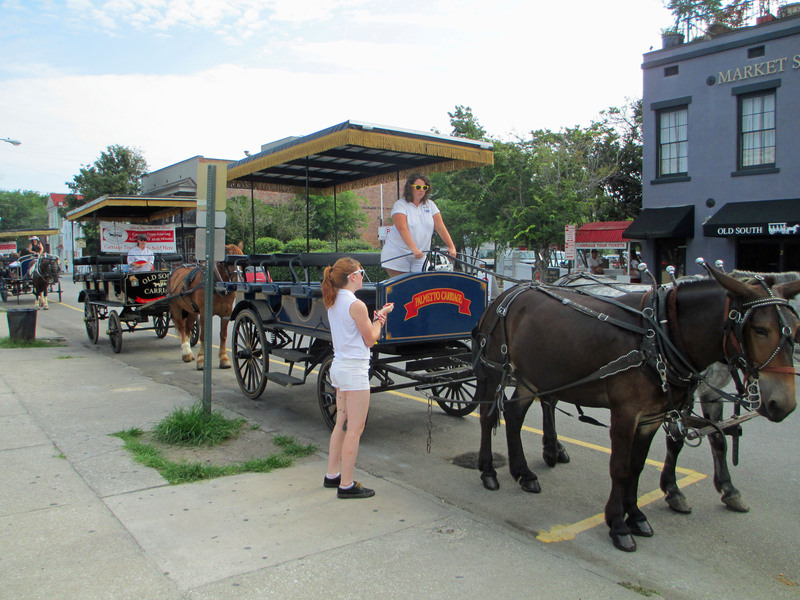 All carriage tours begin and end in downtown Charleston and due to the unique system the city uses to direct carriage traffic; no two tours are exactly the same. Just sit back, relax and let the horse do all the work as you see beautiful homes, gardens and places of worship in The Holy City. After your tour be sure to take a moment to pose for a photo with your horse. While on your carriage tour you would have passed by several restaurants, most of which are beautiful homes that have been converted to dining establishments. One such place is Poogan’s Porch. Located on Queen Street in a Victorian home built in 1888, Poogan’s Porch has been serving delicious meals since 1976. The restaurant is named after a dog that used to visit all the porches in the neighborhood looking for table scraps and served as the official greeter until his death in 1979. As far as the food goes you may never want to leave. The buttermilk fried chicken is a big favorite and so is the Ribs & Mac, but to me there is nothing better than the Chicken & Waffles. Crispy chicken breasts served over waffles with blueberry Texas Pete maple syrup? Yes please! Best of all, Poogan’s offers group dining so you can keep your group together for a special brunch. Take a stroll to the Charleston City Market for some unique shopping. There you will find just about anything you can imagine including antiques, toys, artwork and plenty of souvenirs. The market is quite large and has many vendors, but be sure and take a few moments to watch the ladies weave the Sweetgrass Baskets. Originally used on plantations to free dirt from rice, the baskets are now works of art and make a fantastic collectible from your trip. You will be amazed at the artistry of these baskets and as many times as I’ve seen them made, I still can’t figure out how they do it. You could literally spend days exploring the beauty of the homes and gardens of Charleston’s historic district, but what if you want to get away and see some other things? Not far from downtown is Fort Sumter, the site where the Civil War began. Just take the ferry to the island and start your tour. You can stand right there on the site where the first shot was fired. If that is not enough history for you, take your group to Patriot’s Point where groups of all sizes are welcome. Tour the USS Yorktown, visit the Medal of Honors Museum or see vintage aircraft all in one place. More history can be seen in the many plantations that surround Charleston. The Boone Hall Plantation, the McLeod Plantation and the Magnolia Plantation and Gardens are three of the best. All of them are great for tour groups and present a living history of the past. The Boone Hall Farms Market offers a variety of items including their famous jams and jellies plus they have a delightful café where you can enjoy what may be the best Chicken & Sausage Gumbo ever served. The signature sandwich at the café is Crab & Pimento Cheese Melt served with a fried green tomato on whole wheat bread. If you’re looking for a great burger and a cold beer after that long day of sightseeing then stop in to one of the three locations of Sesame Burgers & Beer. Sesame serves up the best onion rings and hush puppies in all of Charleston, but the burgers are not to be missed. They have about a dozen burgers on the menu, but feel free to design your own delicious concoction. And for the vegetarian out there they serve up a black bean burger just for you. The spring weather in Charleston cannot be beat. Take your group, hop on that charter bus and make your memories. Getting a group together and deciding on where to travel can be a daunting task. In the spring the general consensus among many is to hit the beach, but this may not be the best for everyone. While it may not be foremost in everyone’s mind, one place that is ideal for groups and has plenty to offer is San Antonio, TX. San Antonio is a large city and there is a lot to see so taking your group via a charter bus is a very viable way to go. Just about everyone has heard of The Alamo, but many are surprised to learn that is right in the heart of downtown and that it was founded in 1718 as the first mission in San Antonio. Four other Spanish colonial missions were eventually built; Concepcion, San Jose, San Juan and Espada. A journey along this mission trail is not only historical, but fascinating as well. Begin with the visitor’s center located in Mission San Jose and travel the trail visiting all of the missions until ultimately ending up at The Alamo. Your bus driver can easily make the stops at each destination allowing adequate time to enjoy them all. Once you are back downtown you can take in the sights of the world famous River Walk. The River Walk is filled with restaurants, shops, sidewalks and stone bridges. One thing that makes it unique is its location below street level. Riding the Rio San Antonio Cruiser is the best way to get acquainted with the area. The boat ride is 35 minutes long and your tour guide will immerse you in the history of the River Walk and provide a plethora of information. One of the best times to visit in the spring is during the annual Fiesta San Antonio, which takes place over 11 days each April. The festival consists of over 100 events and with that many to choose from there will most certainly be something the entire group can agree upon. Parades, live music and a 10k run are just some of the many activities taking place. But what if you want to take your group away from downtown and explore other parts of the area? Have no fear because a multitude of places await your arrival and all of them are well-suited for groups arriving by bus. Just northeast of downtown is the San Antonio Zoo which features over 3500 animals and the Zoo Eagle Train which has been a favorite of children and adults since 1956. A little bit further north is the McNay Art Museum; the first modern art museum in the state of Texas and featuring works from such masters as Picasso and Rivera. The Spanish Colonial style home that is the heart of the museum is a sight unto itself. If exploring caverns sound like a fun way to spend a few hours with your group then the Natural Bridge Caverns are for you. The caverns are a 30 minute drive north of downtown and contain fascinating geological formations and are a constant 70 degrees inside. They have several tours to choose from, but whichever you choose be sure to wear comfortable shoes. No trip would be complete without sampling the culinary delights of the region and San Antonio is no exception. When you’re in Texas three items come to mind; barbecue, steaks and my personal favorite, Tex-Mex. 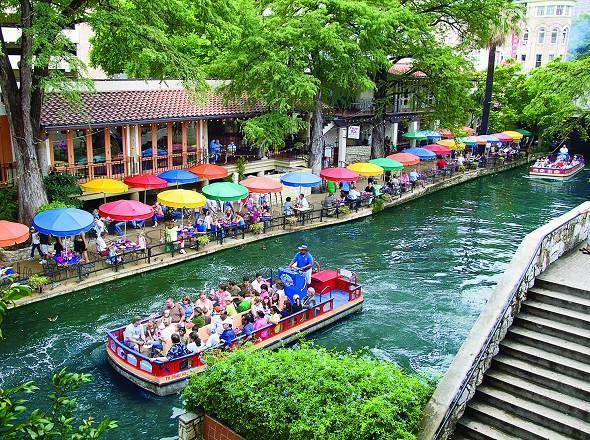 There are several great dining choices on the River Walk where dining outside is the preference. The County Line BBQ is an exceptional choice on the river for real Texas BBQ. Smoked sausage, brisket, ribs and chicken are the specialties of the house and with the large portions you will never leave hungry. Add in the peach cobbler for dessert and you have one spectacular meal. If a steak is what you are after then head to The Barn Door which has been a San Antonio classic for over 60 years. Using only the finest, aged beef this place is a favorite of both locals and visitors. The chicken fried ribeye is a one of a kind experience and the homemade hot rolls are to die for. But no visit would be complete without a taste of Tex-Mex and there is no shortage of excellent choices. However two stand out above the rest; La Hacienda de Los Barrios and Los Barrios Continental Mexican Cuisine. Both are owned by the Barrios family, but each has a distinct menu. At La Hacienda be sure to go for the fajitas or try the puffy tacos. At Los Barrios the Classic Enchilada Assortment, featuring five different enchiladas, is simply fantastic. No matter what sights your group chooses to see or where they choose to dine your San Antonio vacation will be one to remember. Snow, snow and more snow. Snow is a word we are sure our friends on the East Coast or tired of hearing. 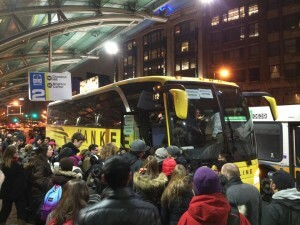 Commuters and travelers via Amtrak were encouraged to take charter buses instead. 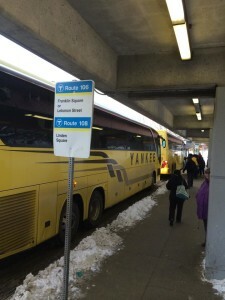 Recently, there have been many instances where charter bus companies have been called upon to get travelers and commuters in and around the Northeast. A Yankee Lines of Boston, Mass. is one of many companies that have braved the snow and ice. Charter buses are often called upon when Mother Nature decides to throw a weather party. They are the most versatile, economical way to get people from Point A to Point B and can go virtually anywhere there is a roadway. Get out of town with this mix of indie, pop, and rock songs for a road trip. T he 2015 Grammy Awards were last week, and that got us thinking. How can we get new riders to “Stay With Me?” Do you ride because you are so “Fancy”? Or perhaps it’s because you are “All About That Bass” and enjoy the rumble of the diesel engines. Maybe you need to just “Shake It Off” and have some free-time while commuting back and forth to work at your “Chandelier” shop. Whatever your motivation to ride, we have your playlist. These ten great songs are sure to be the beginning of a great playlist for your next motorcoach trip, whether that be to and from work – or across the country! Every great adventure requires great snacks. Everybody has their favorites, some being healthier than others, but with so many snacks out there, it’s difficult to choose just one. Here are a few of our favorites! Potato chips are always a good snack. Quick and easy, tasty and crunchy, they will give your taste buds exactly what they are asking for. With literally hundreds of flavors to choose from, you can be assured that this snack is one that everyone will enjoy. Most motor coaches have DVD systems with multiple television screens for playing movies. What goes well with movies? Popcorn! Popcorn is a snack that is not only delicious, it’s cheap! Pop some at home in the microwave before you leave and Voilà! You have a yummy, inexpensive, filling snack to go! Trail mixes offer something for everyone. Most mixes include nuts, dried berries and chocolate or yogurt candies. Be aware of other travelers who may have nut allergies. Fruit is “natures candy.” It’s easy to pack and filled with good fiber that will keep hungry travelers feeling fuller longer. Fruit is a great go-to snack that anyone can feel good about indulging in! If your sweet tooth needs a bit more than an apple, you can always choose candy. Yep, we went there and although we don’t recommend gorging yourself on candy, a few pieces here and there won’t hurt. Whether you enjoy chocolate candies or fruity ones, there are plenty to choose from. Traveling by motorcoach is a great experience and the snacks you choose will only add to that goodness! 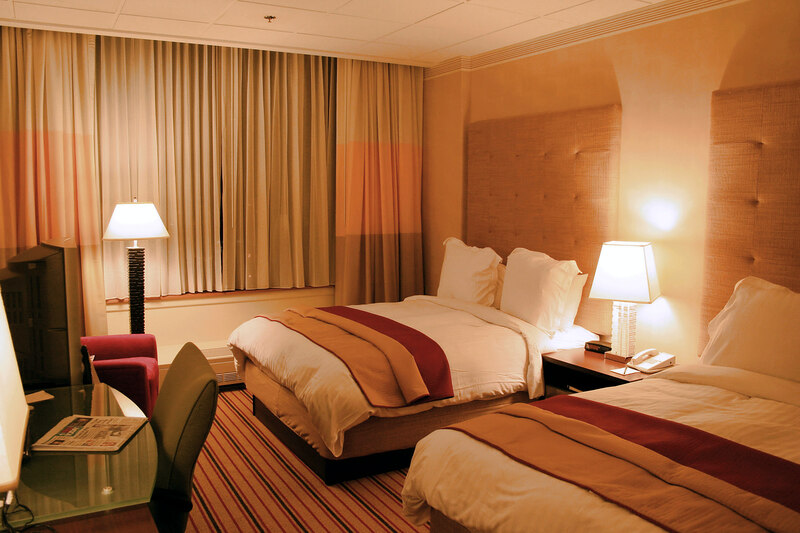 Finding a hotel is easier than ever these days when you consider all of the technology we have at our fingertips. Gone are the days of calling a travel agent and taking their word for it that you are getting a great deal at a great property. Now you can read reviews, compare locations, amenities and room details. Everything you need to make an informed decision is available – but why is it still so difficult? Choosing a hotel for a large group is very different from choosing a hotel for an individual or family. One has to think of all the group members wants and needs. Some members may be elderly and need main floor rooms or access to elevators, some group members may be young and require some kind of entertainment like a pool or game room. All group members will need to eat at some point – will the hotel offer breakfast or does it have a restaurant on site or nearby? Remember three keys when choosing a hotel for your group: Location, Amenities & Group Friendliness. If you keep these at the forefront of your mind – you will be in good shape! One site we found that makes selecting a hotel easy is BusRates.com. It’s not your typical directory site. The team at BusRates has personally made connections with group sales leaders at many hotels throughout the nation. This not only give you an advantage over the typical directory one-price-fits-all sites, it gives you a real, live human being to speak to. A person who is on property and can give your group the individualized attention it deserves. The site doesn’t stop there! It has tons of attractions, events and restaurants they have determined are group friendly – and have the knowledge and ability to properly take care of large and small groups. It’s basically a one-stop group-travel-planning stop!